By including search engine optimization (SEO) keywords in your blog titles, links and copy throughout the blog, you can significantly increase your search rankings and boost online awareness. These keywords are simply the words or phrases potential customers are using to search for your products and services online. By including SEO keywords in your entries and writing weekly blogs that are 300 words or more, you will see a difference in Website traffic. 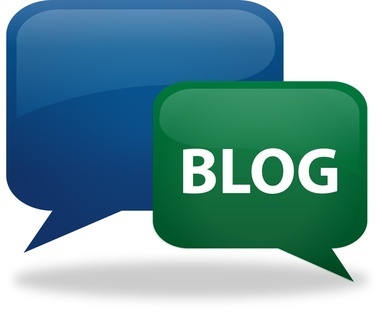 Blogs also offer a way for you to share information, interact and build customer relationships. If people can comment on your posts and like what you have to say, they will share the information with others and build word-of-mouth for your business. But how do you discover what is valuable to your customers? Check your Google Analytics. What pages are your site visitors looking at most and what keywords are they currently using to find your Website? This information will give you clues as to what your customers want and help you create the appropriate blog entries. If you’re still not sure, you can always post a quick, online survey and ask your customers want they want to see. 3. Beat the competition by providing unique content. Blogs can help you stand out from the competition by providing valuable information that your customers cannot find anywhere else. And how do you do that? Well, in your blogs, share your personal insights pertinent to your expertise, background, likes/dislikes, hobbies, etc. Your blog should be as unique as you are. If you haven’t looked at blogging as part of your marketing strategy, it’s time to review it again. Blogs provide a great way to boost your rankings on the search engines and build customer relationships with unique and valuable information. However, blogs need to be written with the appropriate SEO content and posted on a regular schedule. If you don’t have the time or writing skills for this, hire a content strategist who does. It will be well worth it when you see your site visitors and sales increase!